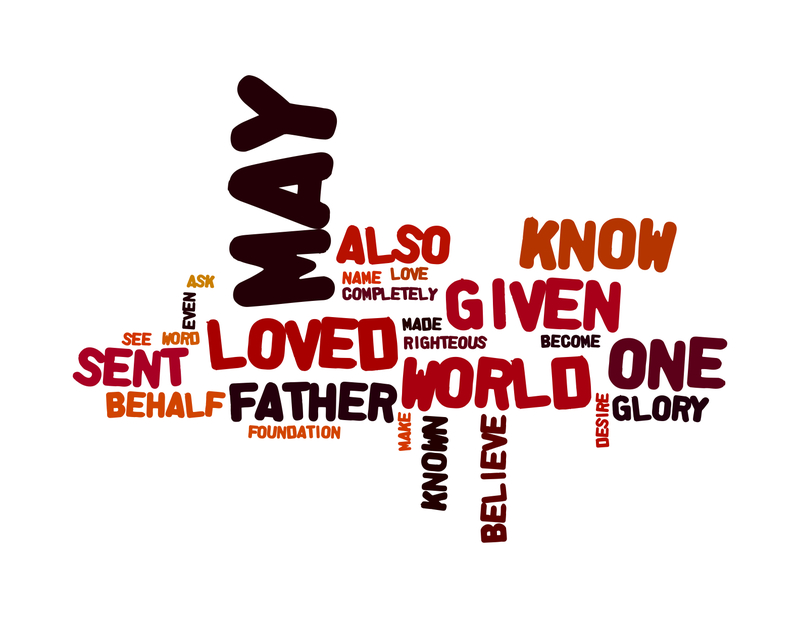 Rectory Musings: Word as Wordle is BACK!!! Hello dear friends, I am still blogging on the Rectory Wanderings blog for now, but I thought I would add a new Wordle for Sunday's Gospel reading. ‘Righteous Father, the world does not know you, but I know you; and these know that you have sent me. I made your name known to them, and I will make it known, so that the love with which you have loved me may be in them, and I in them.